Welcome to Mattie and I’s very first link up! Thank you all in advance for joining us. 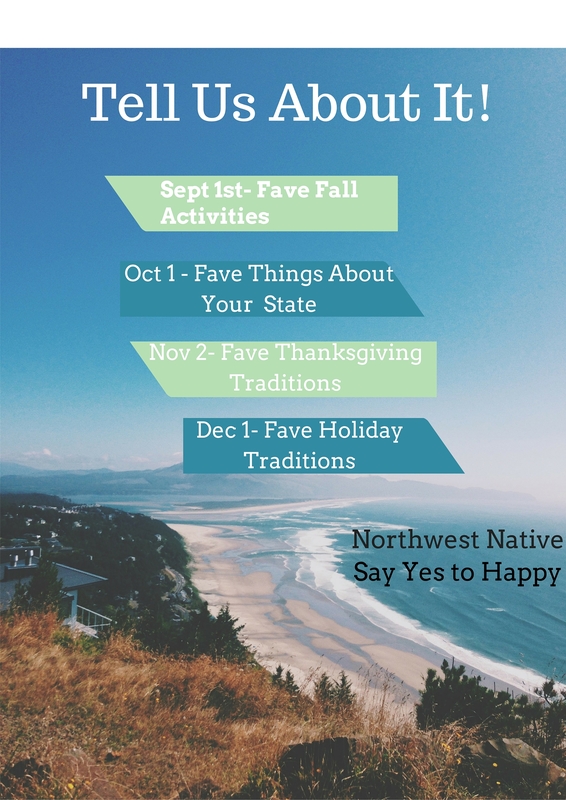 We can’t wait to read about your favorite fall activities especially since it’s officially September now! Where did this year go? And no worries if you guys missed out today, the link up is open until this Friday, or you can also link up next month too on October 2nd and share your favorite thing about your state. One of my favorite things to do in the fall is go apple picking! My parents took our family when we were growing up and it’s always something we looked forward to. My family used to have a Chevy Astro van and we loved driving through the orchard with the side door open. More recently, before I moved to Cali I went apple picking for my dad’s 60th birthday and it was so fun to be out there again after not going for so many years. It is so relaxing and fun, especially when the weather is crisp. I also love hot apple cider. I am also a big fan of baking and here are some fun fall inspired treats I found on Pinterest. *Please link up to one or both of our blogs and/or grab our button below. 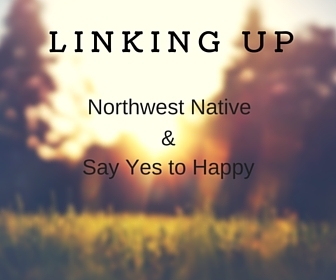 *Hang out in the link up, meet new bloggers, and comment! I love a change of season, adds a sense of renewal! Summer is great but those hot humid days I could do without! I just love the fall weather so much! Cozy sweaters and scarves are my very favorite. I’ve never been apple picking but it sounds like something I would want to try. I’m hoping next year Jose and I can start making our own traditions! That outfit is perfection! Apple picking is so much fun. What a great way to make memories with your family! Big sweaters and scarfs, fireplaces, and those muddy buddies = yes please! seriously Jamie! and smores in the fireplace how could i forget!? I love reading your blog, thanks so much for visiting mine and commenting today! Looks like our favorite is similar! And I’m looking forward to layering up as well! So cozy. Haha yes, how funny we both put that down! Chicago in the fall is so beautiful love how the leaves change! Love that you go apple picking! I’ve never done that before, but it seems like so much fun!! Those pecans?! YUM. I will have to make some of those this year. I love layering up Fall fashion too! 🙂 Thanks for hosting!! I love that I Love about Fall graphic! So cute! And I’ve never been apple picking but I think that would be so fun! I’m so excited to sip on some hot tea even in this hot california weather we are having haha! I have never been apple picking, even though I legitimately wanted to be an apple picker when I grew up for a while. How does that work?! Haha. I so can’t wait to layer up with scarves and sweaters and boots! Ah! So happy about our link-up! Haha I so love that you wanted to be an apple picker it’s so specific and funny to me! Okay, so I’ve never been apple picking before! I feel so sheltered now, haha. Especially since there is a huge apple festival about an hour away from where I live. Sounds like fun though! Thanks for the link up today too! Hah you have to go apple picking it’s so fun! Make the drive you won’t regret it 🙂 Thanks for joining our link up! Her outfit is number one reason I love fall, you can get all bundled up in a blanket scarf (yet to buy one!) and just cuddle up. Baking in the winter and fall are my main reasons our entergy bill is soooo high! I can’t help but smelling cookies bake. I’ve also never apple picked, but we do have a lemon tree in our yard, so I can kind of understand, right? Those blanket scarves are so popular right now and so cute. I want to try to start a garden when I move, your lemon tree sounds awesome! I’ve been wanting to go apple picking for a while now – maybe this will be the year! Mmm that reese’s recipe looks delicious. This made me so excited for FALL! I hope to link up with y’all this week but if I miss it, I look forward to the October one! Such a different link up, I love it!